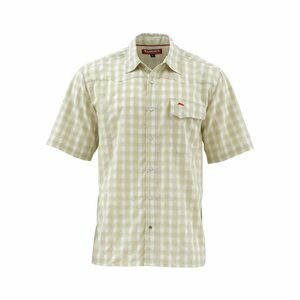 Simms Big Sky SS Shirt, A classic western snap front at home on the river or out and about. Keep Cool short sleeve design. 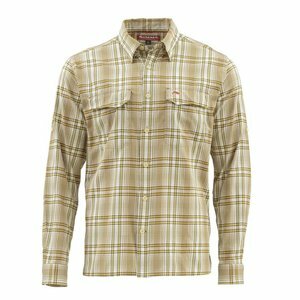 Simms Big Sky SS Shirt, A classic western snap front at home on the river or out and about. Keep Cool short sleeve design. You don't have to be an old timer to have an appreciation for the classics. 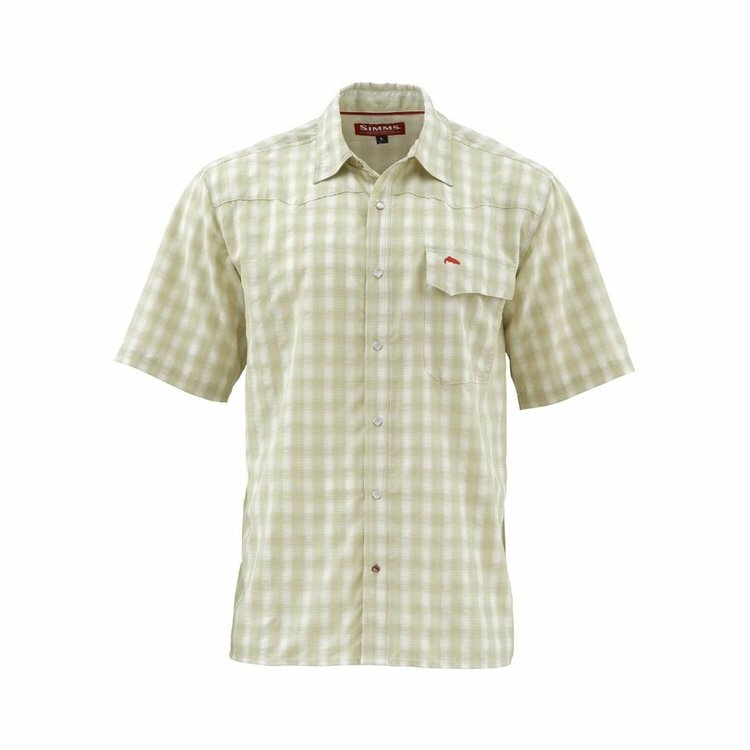 The Big Sky Short Sleeve Shirt is a western-styled, modern take on a classic look. 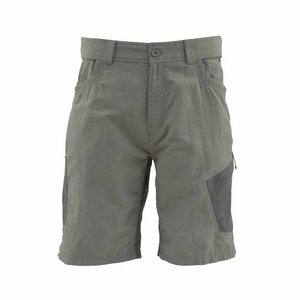 Plush wicking fabric, UPF 30 sun protection and a vented mesh-lined back panel ensure that this shirt is ready for the water or for a leisurely trip to the fly shop to chat about who's catching what, where.